…I had dinner with the talented and lovely Regina Kanyu Wang, a contributor to these pages, one of the actifans of China’s largest fan group AppleCore and the Executive Editor of Storycom, that has, among other things, worked with Clarkesworld magazine to bring translated Chinese SF to the west. We talked about the cultural revolution, the reception of science fiction in China, censorship, the possibilities of a Chinese Worldcon, the fact that fans are fans the world over, different strains of “Asian” science fiction (the differences between Japanese SF and Chinese SF: Japanese SF is far more influenced by western tropes than Chinese SD) and I felt like I took a crash course in the subject. I’ve a lot more to learn, as do we all, but my prediction is that in not so many years, China is going to be dominating this market. El-Mohtar, born and raised in Ottawa, has been crossing the border into the U.S. three to four times a year for at least the last five years because that’s where many of her fans are. With an Arabic-sounding name, she said she expects to be racially profiled, endure intense questioning and pat downs. (3) YA HARASSMENT SURVEY. Anne Ursu, a Minneapolis YA author, is collecting data about “Sexual Harassment in Children’s Book Publishing”. (4) BENEFIT FOR REFUGEES AND MIGRANTS. 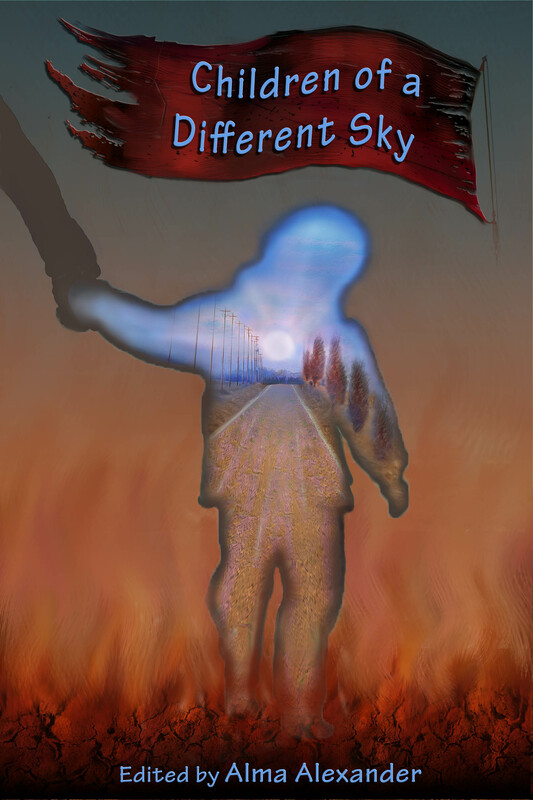 Children of a Different Sky, edited by Alma Alexander, is now available online (including at Amazon). Alexander told Carl Slaughter about the project in a File 770 interview. It is a themed fantasy anthology, about migrants and refugees, and it is a charity anthology, with all the profits from the sales of the book above anything required for housekeeping and production are going straight to two selected charities working with refugees and migrants both in the USA and globally. (5) CAN REBELS AND THE FEDERATION STOP THE EMPIRE? Trek Wars is the Star Wars/Star Trek Crossover Fan-Trailer. The Death Star is on a direct course for Earth, the crew of the starship Enterprise teams up with the Rebel Alliance to stop it! (6) NEXT UP AT KGB READING SERIES. Fantastic Fiction at KGB reading series hosts Ellen Datlow and Matthew Kressel present N.K. Jemisin and Christopher Brown on Wednesday, December 20, 7p.m. at the KGB Bar. N(ora). 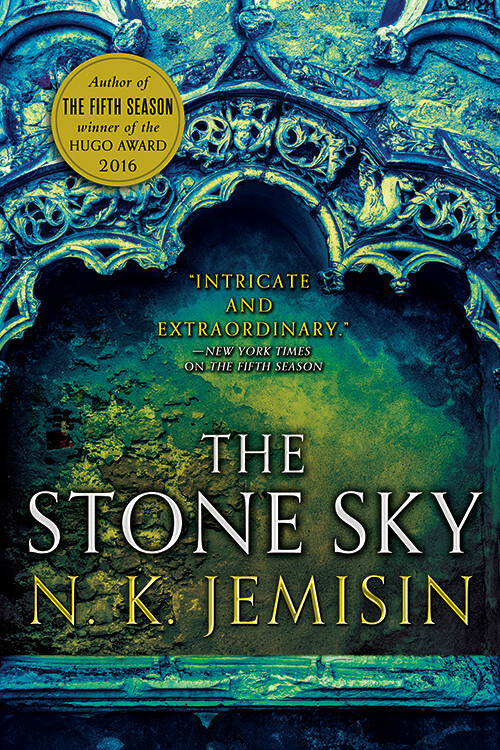 K. Jemisin is the author of the Broken Earth Trilogy, the Inheritance Trilogy, and the Dreamblood Duology. Her work has been nominated for the Nebula and World Fantasy Award; shortlisted for the Crawford, the Gemmell Morningstar, and the Tiptree; and she won a Locus Award for Best First Novel. In 2016, she became the first black person to win the Best Novel Hugo for The Fifth Season; she won again in 2017 for The Obelisk Gate. Her short fiction has been published in Clarkesworld, Tor.com, WIRED, and Popular Science. She writes a New York Times book review column, Otherworldly, covering recent Science Fiction and Fantasy. 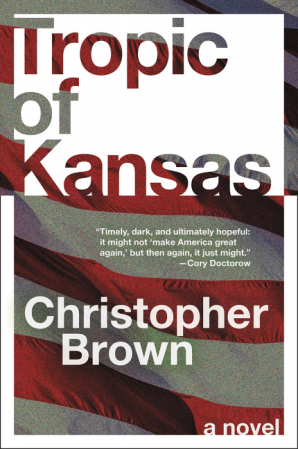 Christopher Brown is the author of Tropic of Kansas, a novel published in 2017 by Harper Voyager that was recently nominated for the Compton Crook Award. He was a World Fantasy Award nominee for the anthology he co-edited, Three Messages and a Warning: Contemporary Mexican Short Stories of the Fantastic. His next two novels, the beginning of a series of speculative legal thrillers set in the world of Tropic of Kansas, are slated for publication by Harper in summer 2019 and 2020. His short fiction has appeared in a variety of magazines and anthologies. He lives in Austin, where he also practices technology law. The KGB Bar is located at 85 East 4th Street (just off 2nd Ave, upstairs), New York, NY. 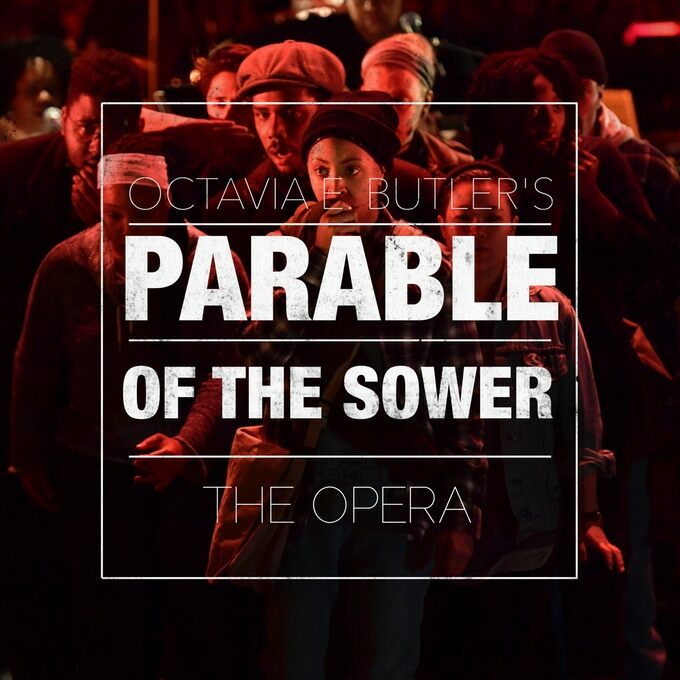 (7) OPERATIC VERSION OF OCTAVIA BUTLER WORK KICKSTARTER. 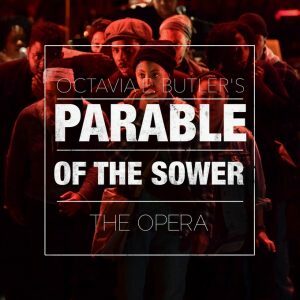 Toshi Reagon has started a Kickstarter appeal to fund “Octavia E. Butler’s Parable of the Sower: The Opera”. This opera, which I composed in collaboration with my mother, Dr Bernice Johnson Reagon lives in an unprecedented intersection of science fiction, opera, African-American art & spirituality, feminism, and climate activism. It features a cast of 15 amazing singers of singular talent and diversity, and a 5 member orchestra which includes my band BigLovely, and a striking set design and visual installation, and a dream team of designers and creatives. We are asking that you join us, and support us as we finish the creation of this ambitious project and bringing it to communities around the country and the world. It’s urgent, we have to do this now. They have received $10,205 of the $30,000 goal as of this writing, with 23 days remaining in the drive. Born December 4, 1964 — Marisa Tomei. She got her screen debut in an uncredited role (as “Health Club Girl”) in The Toxic Avenger (1984) — arguably one of the most gruesome creatures known to man. John King Tarpinian learned from the December 2 Bliss that while there are things man was not meant to know, that doesn’t mean nobody knows them. (10) MARTHA WELLS. The holiday season continues at The Book Smugglers with “Books of My Year – A Smugglivus post by Martha Wells”. For Smugglivus, I thought I’d do a list of recommendations for some of the favorite books I’ve read this year, or am reading this year, or am about to read this year. An SF novel about love, loss, and contact with a truly alien intelligence too strange for humans to understand. If you love thoughtful far future SF with brilliant worldbuilding, this is for you. Different in strengthening properties and generally more pleasant than its brother cram, made by Men to keep them going in the wild, lembas was a special kind of waybread baked by the Elves alone. The name lembas is a Sindarin one: it is derived from an older version lenn-mbass meaning “journey-bread”. As the name implies, one could and needed to eat it on long journeys when there was no other food to support a traveller or if one’s life was in peril after receiving a hurt. With lembas being a very special — and essentially Elvish — kind of food, Galadriel and the Elves showed the Fellowship a great honour by giving it to them. (12) THE WRITING DAY. RedWombat takes a break. BARISTA (ringing up order): You gonna want a refill? BARISTA: And run through the street! (13) A MANLY ANTHOLOGY. Superversive SF’s “Submission call for ‘To Be Men: Stories Celebrating Masculinity’” is open ‘til February 14, 2018. Stories showing the masculine virtues in a positive light. Stories that introduce or reintroduce young men to the manly virtues. Stories that pay homage to men and masculinity. Contact me at manlyantho@superversivepress.com if you’re not sure. (14) LOOK OUT BELOW. MeTV is ready to tell you — “Here’s what’s on the ground in ‘The Jetsons'”. It goes like this: While The Flintstones seemingly takes place in the Stone Age, and The Jetsons is set in 2062, the two worlds co-exist. The Flintstones is the post-apocalyptic life on the surface under The Jetsons. Barney and Wilma live on the ground underneath George and Jane. It’s a fun theory to debate at parties, but there is one big problem. We see what is on the surface in The Jetsons. One of the most common misconceptions about The Jetsons is that the cartoon never shows the ground beneath Orbit City. The Jetson family lives in the Skypad Apartments. George works at Spacely Space Sprockets. Both cylindrical buildings project into the sky like birdhouses on long poles. It is a world of flying cars. This optimistic vision of the 21st century often left viewers wondering — what is on the ground? Well, the answer is… hobos, walking birds, concrete and parks…. (15) ALT-CAT. Every day is a tough one when you’re battling fake news. File770 falsely attributes my amazing book to that fool Camestros. This is how great authors like me who are not afraid to speak out against the elites are persecuted. When Cebulski was named, it had a lot of comic readers scouring the Internet to find out who he was, and if he looked like he’d be able to right Marvel Comics’ sinking ship. Most comic professionals praised the move. Longtime Marvel writer Brian Michael Bendis said, “Creators, you’re about to be treated and fed SO [sic] well. This is a great day for comics. All in it together!” Christos Gage, writer of Netflix’s “Daredevil” season one, said, “Excellent choice in [Cebulski] as new Marvel EIC. He loves comics and comic book creators.” Even Marvel’s most vocal of critics seemed pleased with the move. It didn’t take long for the gossip entertainment news to attack Cebulski, however. This week, Cebulski is the victim of manufactured identity politics outrage, in an attempt by the media to get him fired before his work as editor in chief even begins. Bleeding Cool, IO9, and the Huffington Post, outlets notorious for hyper-partisan clickbait, attacked Cebulski over the fact that 13 years ago he used a pseudonym to write a few books for Marvel. If it sounds like something not even worth mentioning, you’d be right, but it has the leftist outrage machine calling for Marvel to remove him. If the media is right that Cebulski had to use a minority moniker to get a job, it means white men aren’t considered for the work, or at the very least, minorities are preferred. Therefore, pro-white racism in entertainment doesn’t and didn’t exist as far back as 15 years ago. (18) FINAL PRANK. Carrie Fisher pulled a fast one on Mark Hamill. Hamill, 66, spoke about his fond memories of his dear friend on a recent visit to the set of “Popcorn With Peter Travers.” He also recalled the last prank she pulled on him before she died on Dec. 27, 2016. As of now, Hamill has more than 2 million followers and Fisher posthumously has 1.19 million. Hamill, who was trailing in the beginning, said he started pulling these ridiculous stunts like offering up exclusive “Star Wars” clips to gain followers and catch up to Fisher. The plan was to go, take pictures with the wax Luke and Leia figurines, then post on the internet to fans’ delights. But Fisher never emailed him back. (19) LUNAR GLIMPSE. The only supermoon of 2017 rose on Sunday, December 3. Here are three galleries with some of the best photos. “December’s Supermoon from around the globe, in pictures” from the Telegraph. (20) INTERVIEW WITH THE CAPTAIN. The Hollywood Masters features Patrick Stewart on Star Trek: The Next Generation. This entry was posted in Pixel Scroll and tagged Alma Alexander, Amal El-Mohtar, Book Smugglers, Carl Slaughter, Carrie Fisher, Christopher Brown, Fantastic Fiction at KGB, J.R.R. Tolkien, Jetsons, John King Tarpinian, Jon Del Arroz, Kickstarter, Mark Hamill, Martha Wells, Marvel, moon, N. K. Jemisin, Octavia Butler, Patrick Stewart, RedWombat, Smofcon, Star Trek, Star Wars, Steve Davidson, Superversive SF, Timothy the Talking Cat by Mike Glyer. Bookmark the permalink. Every time one thinks that JDA couldn’t reveal himself to be more of a turd, he manages to do exactly that. (13) I love that you can have anything you want in your story. Except present tense. Apparently the least masculine of tenses. @Oneiros But present tense is so strong and decisive not philosophical and backwards looking like past tense. Here in 3332 we understand that tense is just a social construct. Aaron: Every time one thinks that JDA couldn’t reveal himself to be more of a turd, he manages to do exactly that. Meredith moment. The Starlit Wood is $1.99 on kindle. I’m also having a moment of Meredith – Jack Finney’s Time and Again for kindle is currently a buck ninety-nine, with restored original art. The latest is that he has accused Filers of doxxing his kids (whatever the hell that means) and sending him suspicious packages. I’m sure he has completely-real-not-made-up evidence for this too. All the Tweeters cracking jokes about The Manthology are hilarious. (13) an exploration of masculinity! That could be interesting. Well, Camestros can send them some McEdifice stuff. They may love it. Mark: You’re right about Rachel K. Jones — rapid-fire hilarity. I don’t know what’s better – how many people came up with the Manthology joke so quickly, or that there’s really been a real anthology of that name already! I’m looking forward to reading the story about being heroically mean to people on Twitter. Today, I shall be manly virtuous at work. My code shall be so manly that such manly code has never been seen before. And virtuous. rob_matic: I’m looking forward to reading the story about being heroically mean to people on Twitter. Yeah, whoever has been tweeting from the SuperversiveSF account on Twiitter is really a horrible human being. In honour of the “manthology” I’ve just bought this instead. @13: Tenn’s “The Masculinist Revolt” was supposed to be sendup; wherever he is, I suspect this is one prophecy he wishes hadn’t come even vaguely true. @Mark: OTOH, maybe he’d be happy to see that Jones has picked up the snark baton in style. @OGH: Thanks for the credit, but I don’t recognize any of these; maybe that’s just the secondhand cold and the abysmal hour speaking…. Chip Hitchcock: @OGH: Thanks for the credit, but I don’t recognize any of these; maybe that’s just the secondhand cold and the abysmal hour speaking…. Could be. I know I’ve got some from you waiting in email. 14) … and, as usual, I’m within arms’ reach of any number of stories featuring men with “manly” virtues. Dozens of ’em. Some old, some quite recent. I think the people at Superversive just need to get out a bit more. He does realize he writes for The Federalist, doesn’t he? However, my main reason to comment is I just bought The World of Null-A and realized it’s the 1970 revised edition. At least from the intro, it seems van Vogt revised quite a bit. Are there significant differences? Is there a preferred edition? The 2018 DUFF Race has begun! Are there significant differences? Is there a preferred edition? There’s a highly detailed rundown here (the linked PDF): http://www.icshi.net/sevagram/summaries/world1-preface.php — found it interesting as someone who geeks out over how/why works are revised. Short version, though, is that most revisions were made between the 1945 magazine and 1948 book versions, with the 1970 changes being very minor. Most readers nowadays will have read the 1948 or 1970 version. Huge parcel just arrived: finally my Lego Saturn V! Simon Bisson, ooooooooh! Pictures when it’s done? @Simon Bisson — That’s a really nice kit! And if we’re really lucky, we might get a space shuttle in the same scale — that one’s currently making its rounds through the process for user-submitted ideas. so evidently his self-awareness module is malfunctioning again. (13) I was going to get angry at this (because there isn’t any such thing as “manly” virtures–there are only human virtues, and they’re not exclusive to any gender) but I realized that in this case, ridicule is a far better response. As mentioned above, Rachel K. Jones is just killing it. Good morning! I’ve already talked to the NH state director for HSUS, and I haven’t even had breakfast yet. That’s how we roll, here in 8224. 13: I am hereby officially contemplating publishing “Manthology”, a collection of stories of men behaving badly and non-men getting even. For variety’s sake, I might even include a few stories of men behaving badly while other men get even. 2. I feel absolutely terrible for Amal; my wife and I have both been victimized by TSA and border patrol agents (set up in the middle of nowhere), but nothing near as harrowing as what Amal went through. I’m, wondering if our community can’t do something to help ease this BS; we’ve got plenty of people in our community who fit one profile or another and many of us travel outside out native country’s borders. There’s got to be somewhat to interact with TSA and make this less of a nightmare. 13. Is it wrong to hope that the submissions get flooded with excerpts from Chuck Tingle novels? 16. The Akira Yoshida tale has been unwinding for years in the comics media. Of course, that would require JDA to do some actual research which he clearly is unequipped to handle. +1 on Prasad, and I’d add A Series of Steaks as another piece to read. The Slate author claimed that Star Trek Beyond (the blighted third movie) was “critically acclaimed.” Um, not that I recall. (13) Did this bring “The Women Men Don’t See” to mind for anyone else? I like the idea of a Zapp Brannigan PoV story. I thought I saw that here, but now I can’t find the comment (many people are commenting on this story in my various feeds today). Some combination of the Tiptree/Sheldon story and the Futurama character would be amazing. I feel this would be a trivial task for Alexandra Erin, whose Sad Puppies Review Books series was nearly indistinguishable from actual MGC posts at the time. No, Carrie Fisher was not competitive at all. Wait, a manthology is not a collection of stories about delicious fluffy steamed buns? I am disappoint. (16) DEL ARROZ ON CEBULSKI. Nope. Nothing to see here. JJ: The latest is that he has accused Filers of doxxing his kids (whatever the hell that means) and sending him suspicious packages. Aaron: I’m sure he has completely-real-not-made-up evidence for this too. And now he’s claiming on Twitter that I said it would be okay to doxx his kids and send suspicious packages to his house. He even posts a screenshot of my post, which clearly does not say that at all. What a pathological liar. This guy is exactly the reason I walked away from Christianity years ago — because of so-called “Christians” like him, who are pure evil. (17) I hate to disappoint Stephen Chbosky, but there have been two (and even three) movies with Chewbacca in release at the same time before. In 1997, when the Special Editions of the original Star Wars trilogy were released, Star Wars and The Empire Strikes Back were both in theaters simultaneously, and later Return of the Jedi joined them as well. For the weekend of March 14-16, 1997, all three films were in the top 10 at the box office. For a so-called “writer,” he sure as heck doesn’t understand what words actually mean. Bonnie McDaniel: For a so-called “writer,” he sure as heck doesn’t understand what words actually mean. Oh, he understands, all right. And that’s why I say that he’s an evil person. All the lies he’s told about numerous people on his blog, his Twitter, here on File 770, over at Camestros’ — they aren’t little lies based on misunderstandings. They are all big, egregious, deliberate falsehoods which he posts with malicious intent. @James Moar: Thanks, that is very helpful. This is kind of neat. San Francisco fan David Bratman writes classical reviews for San Francisco Classical Voice, and I just read one by him of Alma Deutscher, who played her first violin concerto with the Silicon Valley orchestra (symphony, whatever). There’s a 60 Minutes clip on Alma at the bottom, and though they try not to be patronizing, they end up asking her various questions about being a kid (she’s 12 now), but it’s still a nice piece, with some good clips of her playing violin. She also plays piano and organ and writes operas. So I looked her up on Wikipedia, and found that her first opera, The Sweeper of Dreams, is based on Neil Gaiman. I would not be surprised to learn that you’ve mentioned it here, but it was five years ago, before I followed the file. I may go to her webpage next and see what kind of samples they have of her music. It’s nice, melodious stuff, for the most part (per the review and clips). She writes partly to make up for the ugliness in the world. Oh, and she has made up several imaginary composer of different styles, who she sometimes consults when writing her own music. This struck a chord with me (E flat), because I discovered a while back that I could keep from losing my place when playing piano by tasking an imaginary henchman with keeping track of where I was at every moment. Not exactly the same, but close enough for chord-striking purposes. @Soon Lee: one of my favourite Japanese sweets was derived from those. I don’t quite have the energy to appreciate the manthology conversation on Twitter right now, but I do hope someone’s sent them this gem of understanding masculinity from Mulan. He aspires to be a Sad Puppy (or at least a Scrappy Doo, since the Sad Puppies have faded into irrelevance), and one of the primary qualifications for membership in that group is that you have to be comfortable with lying on a regular basis.